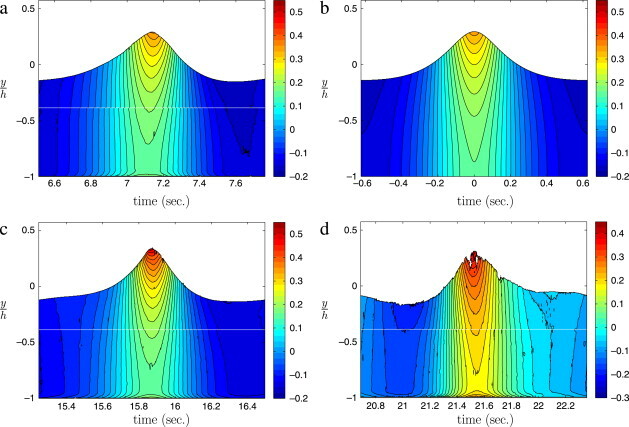 The paper “Velocity fields in breaking-limited waves on finite depth“, co-authored by John Grue, Jostein Kolaas and Atle Jensen, has been published in the European J Mechanics B/Fluids. In the paper the kinematics below the strongest possible periodic water waves on intermediate depth is measured by PTV. The experiments are compared to fully nonlinear and second-order theories. A link to the paper is here.